Hanging Wreaths and Swags have a wonderful history of traditions and they are still used in contemporary times for adornment. Fall season is here and Halloween is lurking behind the corner. 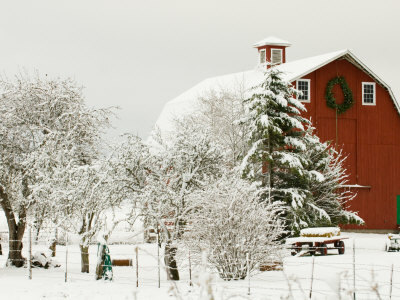 Here is some information on traditions of hanging wreaths on front doors. 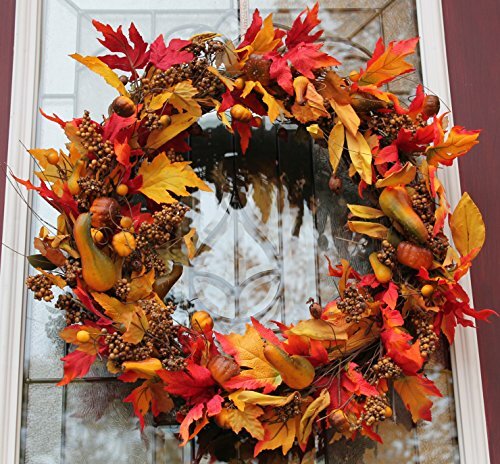 A fall tradition of hanging wreaths for front door is a beautiful symbol to greet the fall season and an amazing method to emphasize and highlight the doors. It is a beautiful decoration that immediately catches attention from guests. 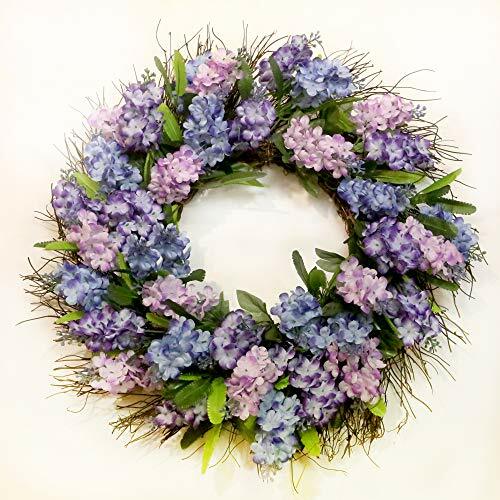 Wreath made of fresh flowers and twigs look gorgeous and the aroma is refreshing. They look stunning in their circular symmetric shape as Fall Centerpiece on the table. Wreaths have always come in circular shape, as long standing traditions; however you are welcome to try other shapes as well. What did the wreaths mean? The wreaths were used since the time of Romans for commemorating victories and special events. They were used to honour the soldiers or any accomplished persons. By presenting the wreaths as awards, they became an important part of customs used in ancient Roman Olympics centuries ago. Wreaths were also used as a symbol of status. These royal wreaths displayed the rank and power of elite families. 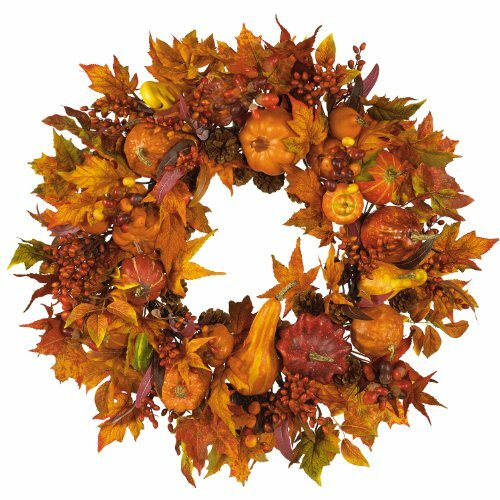 You do not have to constrain yourself by hanging wreaths only during the fall season, wreaths look quite stunning on all times of year. 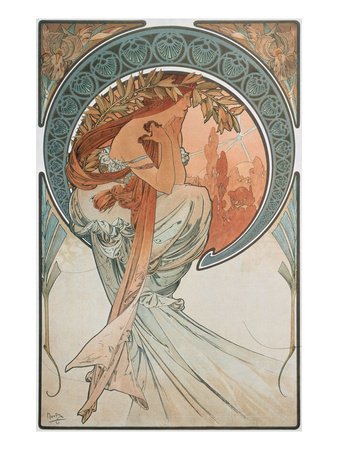 They are striking elements of décor that can be utilized in all the four seasons. They come in unique, attractive and versatile decorations that can last many festive events and seasons. Silk and artificial wreaths are robust and can be used for more than one festive holiday season. 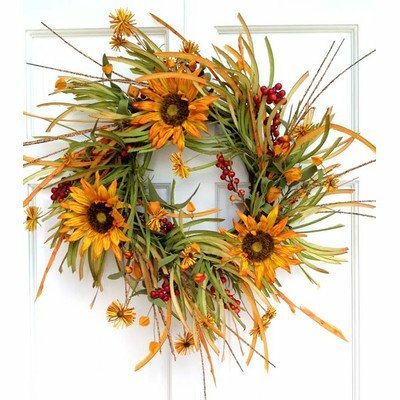 The traditions of Fall Wreaths in United States began more than a decade and half when Worcester Wreath Company from Harrington introduced it; Maine pioneered the tradition of granting wreaths on the monuments of the country’s heroes at Arlington National Cemetery during the holiday season. This led to utilization of wreaths for many such occasions and festive events like fall season celebrations, Halloween, Easter and Christmas. Fall wreaths are created with many varieties of fresh seasonal flowers for wedding decorations in a plethora of sizes and designs. 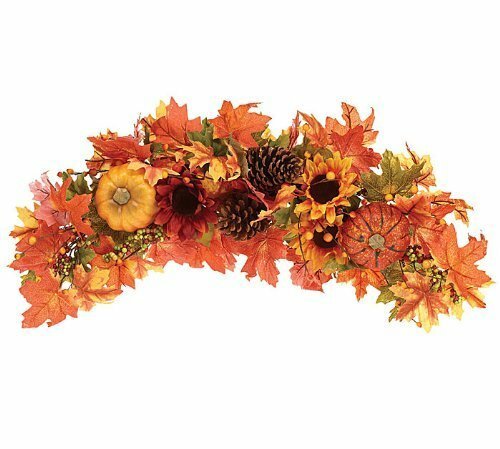 It’s truly amazing to see the beautiful fall art decor in multicolored oak wreaths that has vibrant colors from the spectrum, especially when the day light becomes shorter and darkness prevails faster in winter. 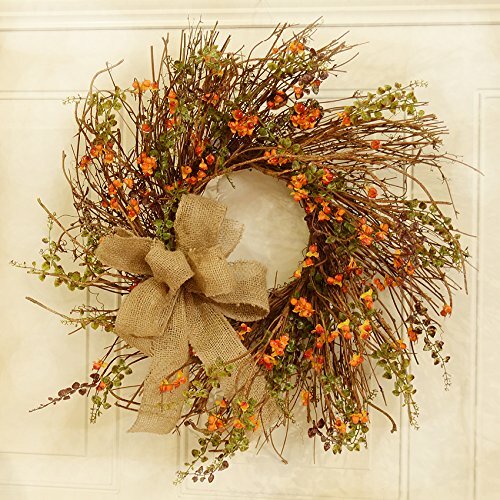 Do you use wreath for Fall decor? The Thanksgiving wreath can be a pretty hot colored wreath , a creative decor featuring a combination of flowers and seasonal herbs that are certainly going to delight your guests and relatives in a perfect Thanksgiving dinner party whereas, the Jack-O-Lantern bell wreath is ideal for Halloween theme parties. This wreath rings the creepiness that will surely invite the ghosts and ghouls in your haunted mansion. 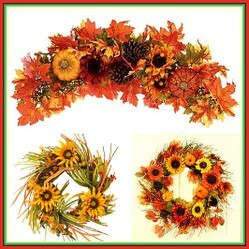 Fall wreaths are made from wheat, corn husks, eucalyptus, orange pumpkins, dried wild flowers, bead craft and acorns. 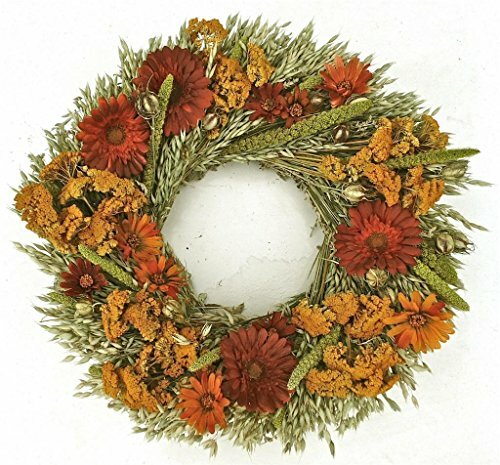 The assortment and selections in the wreath are almost countless to choose from. A laurel wreath that is circular in shape was made from the foliage of bay laurel by interlocking branches and arranging leaves in a rhythmic pattern. Julius Caesar sported this wreath and it was used to honour great warriors in ancient Roman period. Ancient Olympics used the laurel wreath made from olive tree to celebrate the victory of athletes who brought honour to their country. The Laurel wreath symbolizes victory, in many countries it was presented to scholars who completed their master's degree in the convocations. 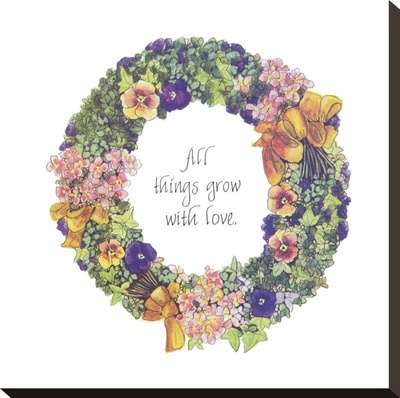 I have always loved wreaths - Do you also love to decorate with them? “Decor floral De Table” certainly needs some experience with flowers and scissors but not a far reaching, extensive expertise.